I have been meeting a lot of young aspiring Digital Marketers after coming to this field. And interestingly, there is a good percentage of them getting into good job roles in reputed companies. But there is quite a considerable bunch of people who are still confused about this field. Some of them aren’t even sure about Digital Marketing as a whole and some are confused about various Digital Marketing career options. Don’t worry even if you’re one of them. I’m going to break all that down for you here. In reality, there are multiple Digital Marketing career options available in India today, you just need to be well informed to pick the one that suits you. Your Qualifications: Does it matter? 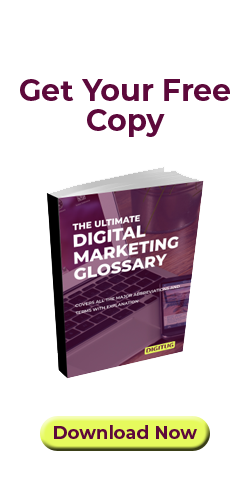 Designations and job roles can vary from company to company when it comes to Digital Marketing. But there are certain job roles that are common across the industry. This role involves handling all the Digital Marketing activities of the company and heading the Digital Marketing team. To get into such a role, you should have at least 3 to 5 years of experience. And you should also be well versed with the different verticals of Digital Marketing. Ideally, a Digital Marketing manager should be well aware of SEO, Paid Ads, Social Media, Email Marketing, Content Marketing, Conversion Rate Optimization, Web Development and a little bit of Designing. And you should also have the ability to build strategies and execute them. Digital Marketing Managers are expected to have good team management skills as well. The minimum pay for a Digital Marketing Manager is around INR 30,000 to 35,000 monthly. And there are companies that even pay more than INR 100,000 for such roles. But again, it all depends on the company that you are working for and your experience. When we look at the multiple Digital Marketing Career Options, SEO or Search Engine Optimization is something that’s always in demand. SEO has evolved a lot in the past 10 years. The same technique that was applicable in 2015, may not be applicable now. We can broadly divide SEO into two sections. And an SEO Analyst or Executive will be working on both On Page as well as Off Page SEO. But these are not all, you will be responsible for the total search traffic that you generate on to your website. You can check out this detailed article on On-Page SEO for more information. To work in the SEO domain, you should be a little tech-friendly, and some knowledge of HTML comes in handy. In the SEO vertical, the designation that you get can vary across companies. In some companies, freshers will be offered with the title of SEO Executive, and experienced candidates will be hired as an SEO Analyst. But in most companies, candidates are usually hired as SEO Analysts only, irrespective of their experience. I cannot really assure on the designations that I have mentioned here, as it varies across companies and industries. An SEO Analyst or Executive with 1 to 2 years of experience can get a minimum salary of INR 25,000 per month. Again, this can vary according to companies and places. Social Media Marketing is a good career option, but make sure you are not in its shallow edge. I have seen a lot of people who take care of social media but only do the basic organic postings on these channels. In fact, there is a lot to do on Social Media than just posting pictures. If you are being mediocre in Social Media Marketing, that’s something almost everyone can do. To become a successful Social Media Marketing professional, make sure you are thorough with all the channels, tools and strategies to attract users. Good knowledge of social media channels like Facebook, Instagram, Twitter, LinkedIn, YouTube, Quora, Pinterest etc. Experience in social media tools like Buffer, Hootsuite etc. So depending on your skills and experience you can get a Social Media Executive or Manager position in India. People with 1-2 years of experience can get a minimum salary of INR 25,000 monthly in this vertical. Again, it will depend on the company, the city that you live in, your experience, skills, knowledge, and performance in the interview. PPC or Pay Per Click Advertising is one of the most demanding careers within the Digital Marketing industry. If you’re an analytical person, you should really try out a career in PPC and Analytics. As a PPC expert, you’ll have to deal with the following things on your job. Setting up PPC campaigns across various channels. Ads on Facebook, Instagram, Twitter, LinkedIn, Quora etc. Playing with tools like Google Analytics, Adobe Analytics etc. In some companies, there are dedicated roles only to manage Google Ads. They are normally called Google AdWords specialist or Google Ads specialist (Remember, Google AdWords has been renamed to Google Ads in July 2018). When compared to other verticals within the Digital Marketing industry, PPC experts are usually paid well. Anyone with around 1-2 years of experience can get a minimum salary of INR 30,000 per month. It’s just the minimum, many reputed companies are willing to pay a lot more than that for the right candidate when it comes to PPC and Analytics. Content Marketers with relevant skills are always in demand. Industries like SaaS rely a lot on Content Marketing. I always come across Content Marketing openings in various SaaS based companies on LinkedIn and other job portals. When compared to other verticals in the industry, Content Marketing is still at an early phase in India. But more people are taking up a career in Content Marketing and is growing better than ever. One important thing is, Content Marketing and Content Writing are different. If you have good writing skills, you can become a content writer. 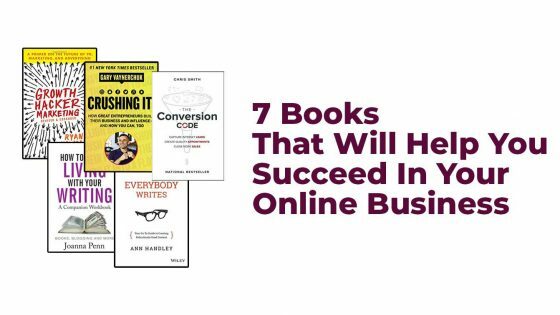 But to become a good Content Marketer, you need to know about SEO, CRO (Conversion Rate Optimization), Email Marketing, Sales Funnels etc along with good writing skills. Depending on your experience and skills you can get a Content Marketing specialist or Manager position in India. But the openings are concentrated more around metro cities now. A Content Marketer with nearly 2 years of experience can ask for a minimum salary of INR 35,000 per month. And many reputed companies are more than willing to pay higher amounts for the right candidate. If you have the skills that we talked about above, you should certainly consider content marketing as a career. As more businesses are turning into e-commerce and app-based services, email marketing has become inevitable. Email Marketing professionals need to be aware of various tools as well. The tools that you use may vary according to companies. Most of the industries these days rely a lot on email marketing and they all want experts. Someone with 1-2 years of experience can get a minimum salary of INR 25,000 per month in the email marketing vertical. Anything below that for a 1-year experienced person is too less. Some companies may not particularly assign titles that are related to the different verticals within the Digital Marketing field. Instead of SEO Analyst or Social Media Executive, multiple people in a team will be given with the same Digital Marketing Executive or Analyst designations. This happens in roles where you will have to handle multiple domains. There are companies that assign Content Marketing and SEO to one single person. Similarly, Email Marketing and Social Media can be given to another person. In such scenarios, one may get a Digital Marketing Executive or Analyst position depending on the experience, skills, and knowledge. Freshers who are entering the Digital Marketing field can ask for a minimum salary of INR 15,000 per month. If you have at least a year of experience, you can expect a minimum salary of INR 25,000 per month. Again, this can vary depending on companies, cities etc. There are positives and negatives to taking up such roles that handle multiple domains. We’ll discuss it in the coming sections. Apart from what we discussed above, there are dedicated roles that handle ORM and CRO. ORM or Online Reputation Management is a vast area. Where the person will be responsible for handling the reputation of a brand online. This will include managing social media accounts, monitoring all sorts of online communications and promotions, and engaging with your audience online, like responding to comments and queries. People with good experience in handling social media accounts can get into ORM roles in reputed companies. Whereas CRO or Conversion Rate Optimization is an area that is closely connected to analytics and PPC. It is about optimizing your online assets like websites, landing pages, lead magnets and ads for better conversions. People with a solid understanding of PPC, Analytics, Sales Funnels, UI, UX etc. are preferred more in CRO based roles. Understanding your skills is extremely important when it comes to picking the right Digital Marketing career option. I would say, your skills are more important than your qualifications. Without complicating it much, I can divide the skills part into two. If you are more of a creative person, the following verticals will be a better fit for you. Because all these verticals involve creating content in various forms and optimizing visual assets. Whereas if you are an analytical person who’s good with numbers, you should certainly consider PPC and Analytics as your career option. Search Engine Optimization is something that comes in between, you need to be a little tech savvy and have some content optimization skills to succeed in this career. But these days Content Marketing and SEO go hand in hand, as good quality content is a major ranking factor on Google. The quick answer is a NO. Because I have seen a lot of people performing well as Digital Marketing professionals irrespective of their backgrounds. The things that matter more than your qualifications are your interest, skills and the effort that you put in. If you look at the situation in India, this is how it goes. Majority of Digital Marketing professionals are BTech or BE graduates. It’s true that they get preference when compared to other arts or commerce graduates. Many companies prefer BTech or BE graduates to PPC, Analytics and SEO roles. Another majority is the MBA graduates. The good thing is, though many of them start slow, they have better growth opportunities within Digital Marketing. Many top companies, hire MBA graduates with good experience to their managerial roles. MBA graduates are preferred in almost all the verticals of Digital Marketing. I personally know people who are working in Content Marketing, Social Media, SEO, and Analytics. Then there are a bunch of MCA graduates. They are considered equally as BTech/BEs, and they won’t have much difficulties in getting on to Digital Marketing jobs. Now here comes the next group of people who are mostly confused about picking a career in Digital Marketing. This group includes people with graduate and post-graduate degrees in arts, commerce and science subjects. You can count in people who have done their BA, MA, BCom, MCom, BBA, BSc, MSc etc. Now, the truth is when compared to the BTechs and MBAs, this group is a minority. But that doesn’t mean you can’t get into a Digital Marketing role with these degrees. You can, but you will need to put some extra effort to showcase your skills. Digital Marketing courses and internships are helpful in such scenarios. In fact, I have seen people with arts degrees who have started their career as content writers getting into the content marketing vertical and outperforming others with tech or Marketing backgrounds. In short, it is possible. You just need to hone in on your skills and convince companies to get hired into entry-level Digital Marketing roles. And once you get a start, you can gain experience and go up the ladder. Below are the Digital Marketing career options that will help arts and commerce graduates to get into an entry level job quickly. For roles like PPC and Analytics, companies mostly prefer BTech/BE or MBA graduates. Another important thing is, irrespective of your background, if you have good content writing skills and creativity, you should definitely consider Digital Marketing as a career. The opportunities are countless, as the number of internet users is only going to go up day by day. And all these Digital Marketing verticals like SEO, SMM, SEM and Email Marketing can be learned with genuine effort and interest. There are tonnes of free resources available on the internet to get started with the basics. You can check out various blogs online and the video tutorials available on YouTube. 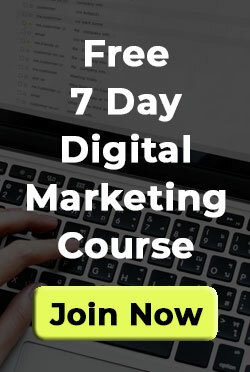 Here is a free 7-day course on Digital Marketing that covers all the basics. Apart from these free resources there are paid courses available on portals like Udemy and there are multiple institutions offering courses on Digital Marketing in almost every other city in India today. And as I already mentioned above, an internship is a great way to gain some hands-on experience, even if it is non-paid. I have mentioned this in other places before. When it comes to taking up a job in Digital Marketing, you have primarily two options. Now, if you want to concentrate on one particular vertical like SEO or Social Media Marketing, an agency is the best option. Because you will be working for multiple clients under the same vertical and you will be able to gain some solid experience in that field. And mostly you will be working on that particular vertical (e.g. SEO) for a really long period. On the flip side, if you choose to join an in-house team, you will get more chances to work on different verticals within Digital Marketing. For examples, you could be handling SEO along with Content Marketing. Or Social Media along with Email Marketing and so on. It gives you an opportunity to learn multiple verticals, but the experience that you gain may not be as solid as what you get in an agency atmosphere. So depending on your preferences, you can make a choice. Again, this can vary according to companies. But try to understand how things work in an organization before you join their team. 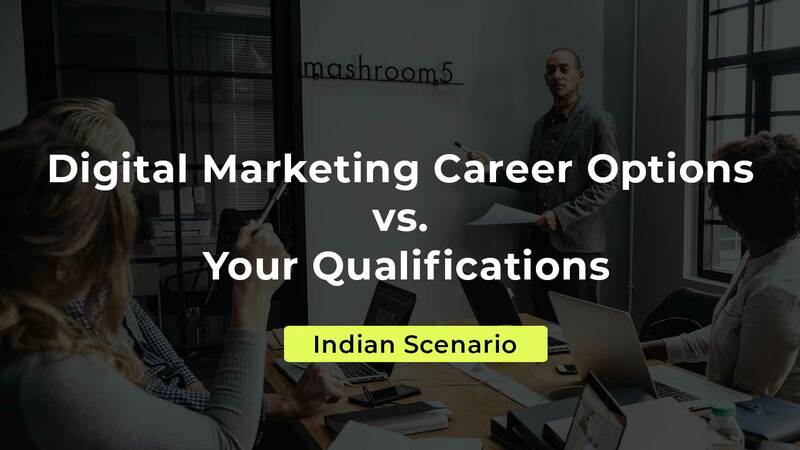 What you just saw above are the various Digital Marketing career options currently available in India. There could be some minor differences, but it’s all more or less the same across organizations. Your qualifications do affect your chances of getting on to a Digital Marketing job. But the good thing is, your skills are more important than your qualifications. So focus on growing your skills, put genuine effort and you’ll see the results. I really hope you find this article helpful. Got any queries or feedback? And feel free to share this article with your friends and on social media if you think it adds value. It’s really good article and helpful one. You covered all the things about this topic. I have a question for you, maximum how much 6 year experienced person is getting as a digital marketing manager? Hi Venkatesh, glad you liked the article. 6 years is a really good experience, and certainly the person should be able to get around 8-9 LPA in reputed companies. But it can really vary across companies and industries. If you take industries like SaaS, there is always a better pay. What I mentioned is an average, good companies must be paying even more than this. Thank you.